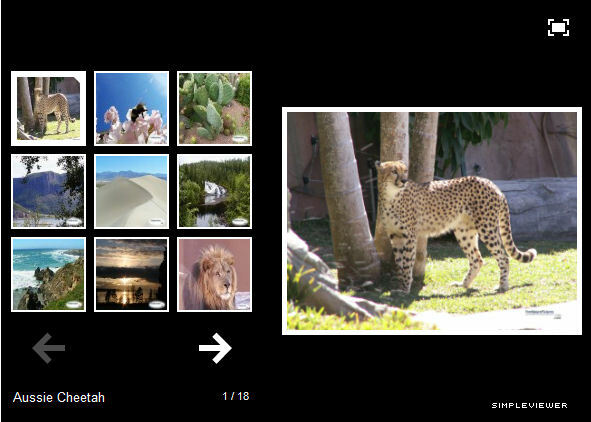 This extension is a wrapper for the Simple Viewer Image viewer by Felix Turner. HTML code, data files and thumbnails for you! • Customizable interface - Set text color, frame color and width, navigation position. • Cross platform - Windows/Macintosh/Linux/iPhone/iPad and Android. SimpleViewer-Pro is also available for purchase. SimpleViewer-Pro does not include the download link.